via rail to Nelson and began her service on Kootenay Lake. and freight to various points along the lakes shore. 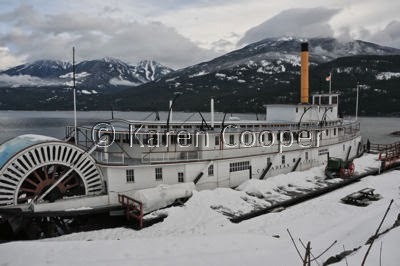 the worlds oldest intact passenger sternwheeler. and sits proudly along Front Street in Kaslo. and not to be missed on any trip through the Kootenays. She's a grand old girl alright!